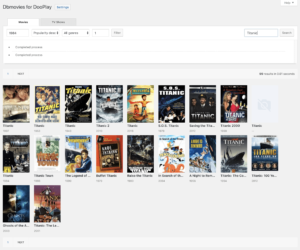 Dooplay is undoubtedly the best and most powerful framework, with access to a large volume of content with a single click, completely optimized. 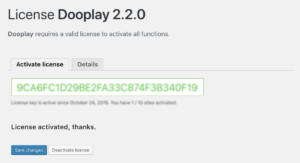 DooPlay is created to facilitate the work of creating content with requires little effort, uses powerful tools that provide data, texts and images from very reliable sources, also gives you all the options to customize your website without touching lines of code. 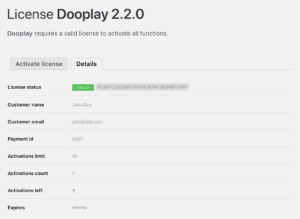 Dooplay 2.3.1 has a persistent cache system, which allows you to minimize queries to the database, it is the fastest and most stable version we have achieved, it also has new and improved options that will give you absolute control of your website. Dbmovies our import tool, has also had very important changes, providing improved access to a large volume of content in different languages. Available translations ( English / Spanish ). API IMDb scraping data ( rating / votes ). Import data and image ( movies / tv shows ). User List marked as seen. 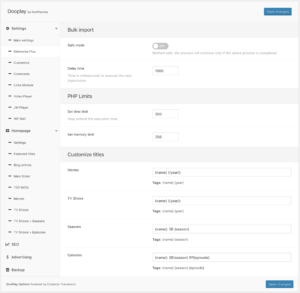 DooPlay has custom fields that will give order and good looks to its content, for the SEO we have precise taxonomic filters to improve the performance and positions in the main search engines. Additionaly you will need mod_rewrite enabled in your server. Download this file to check required extensions directly in your server. Resolves a critical error in the TOP IMDb module that can slow down the loading of the website. Fix, Slow Query TOP IMDb Page. This version incorporates our improved platform for Dbmovies and our new Dbmvs Service, with access to our board from where you can get real-time information about your Dbmovies activations. ADD Google Drive Self check. FIX Value 0 in Metaboxes. FIX Season composer title in single. FIX Episode composer title in single. Add new function static viewer() in DooPlayer PHP class. Add new Fake Player Options. 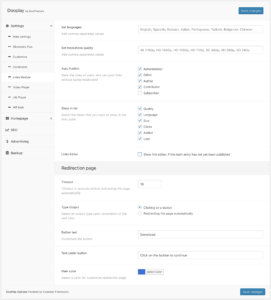 Fix Requests page title with SEO by Yoast. Fix escape shorteners for magnet links. 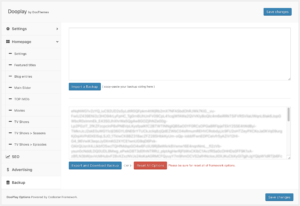 Add new URL escape shorteners double validation. Add new DooAuth PHP class. Add new Sign In Ajax action. 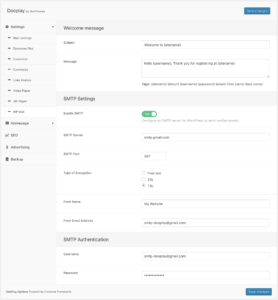 Add new Login Ajax action. Add new Log Out Ajax action. Add new customize options for Fusion Style. Add new Requests page Options. Add new Requests content controls. 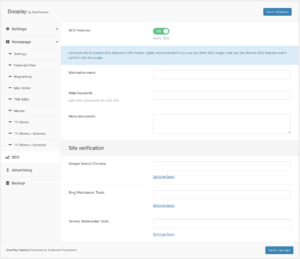 Restricts access to subscribers to WP-ADMIN page. 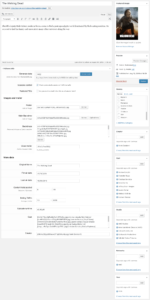 Fixed the pagination in archives content. Update the function that adding multiple links at the same time. Add double check of links before posting. 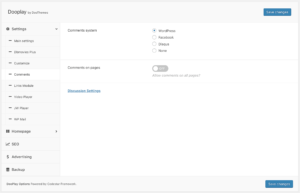 Add links before of publish content. 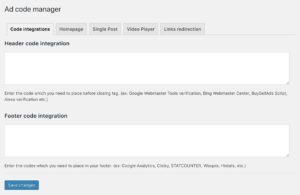 Support Shorteners in links module (New). Fix Ad banner click on Video Player. 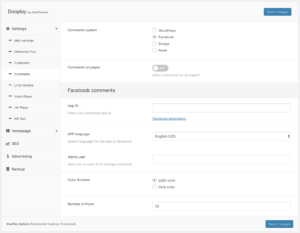 Fix User capacity on links editor. Add Clicks counter in links module. 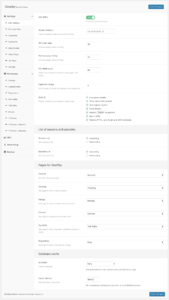 Add Options for sort the items in Homepage Modules. Required PHP 7 ( Important ). 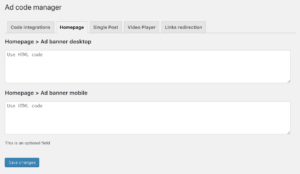 New Ads Module ( Desktop / Mobile). Links Module table list ( select columns to show ). Fix player waiting time 0. Player invalid re-click video source. New Dbmovies, Bulk import setting. 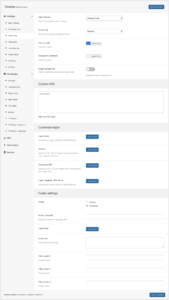 New theme options ( Codestar Framework ). 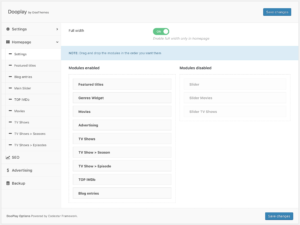 New Links Editor module ( Movies / Episodes ). Auto Play controls for Player. FIX ( invalid Argument in Player ). Admin Options for Video Player. Fix Ajax response in cache for video Player. FIX Delete expired cache for dooplay. 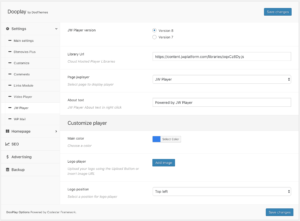 Support JW Player 7/8 (optional in functions.php). 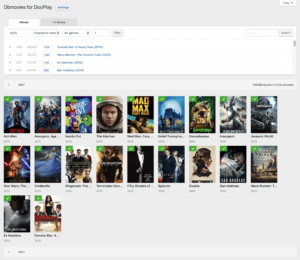 Update PHP/HTML code Single ( Movies ). Update PHP/HTML code Single ( TVShow ). Update PHP/HTML code Single ( Seasons ). Update PHP/HTML code Single ( Episodes ). Add Ajax results in video player. Delete Notice Report in single pages. 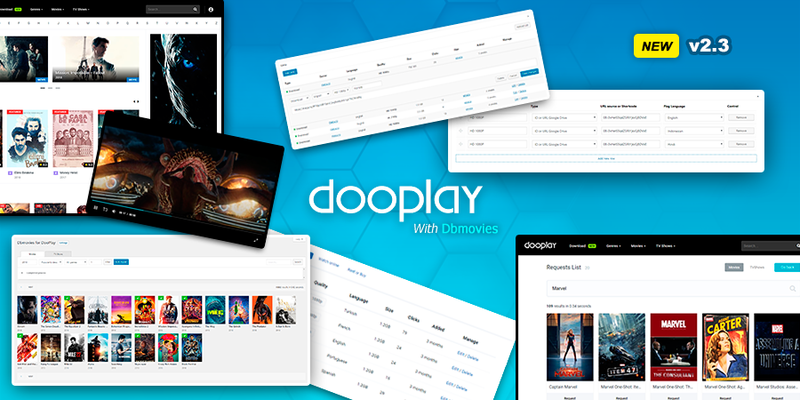 With this version we end DooPlay v2, drastically improve the delivery of the database, repair common problems that were reported and update all new services for Dbmovies. Optimize delivery of get_post_meta (Important). Update Google Drive scraper download link. Fix Episodes first_air_date field null. Fix Admin bar ( hidden only for users ). Delete Google drive JW Player page. 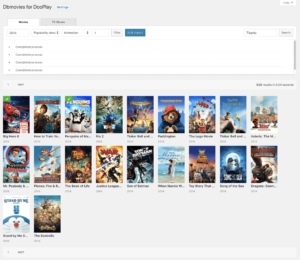 ADD – New system for dbmovies plugin. 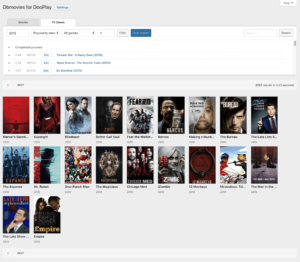 FIX – movies / tvshows – jQuery instructions. 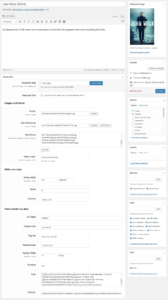 ADD – New opion for dbmovies generated content (publish date). 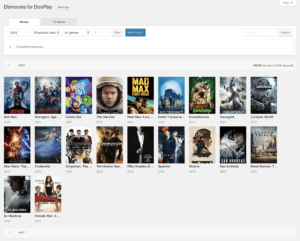 ADD – New parameters DBmovies API. The licenses for this product are lifetime, this type of license allows you to obtain free updates and extra activations, access to support is permanent.